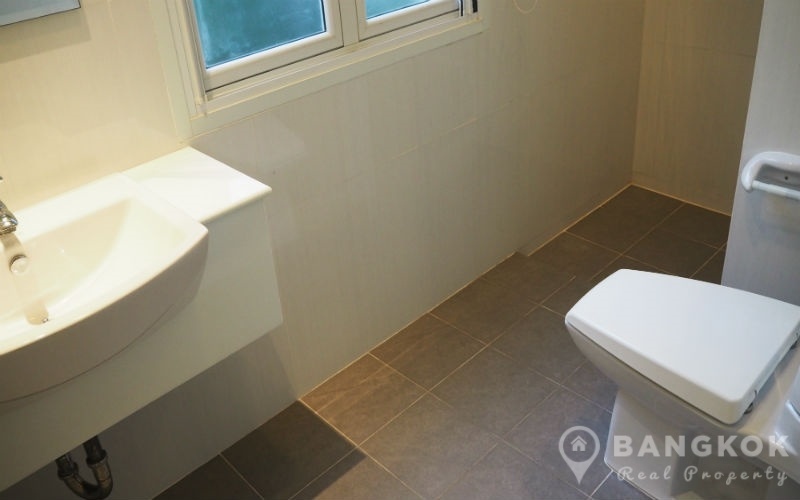 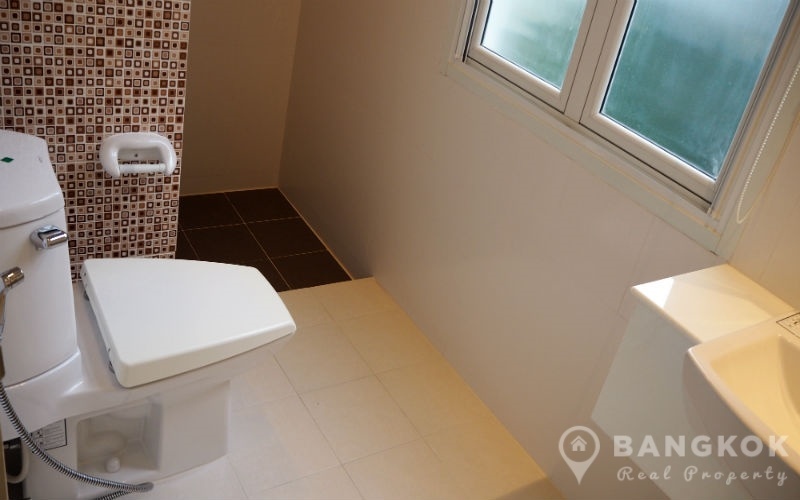 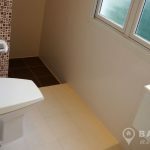 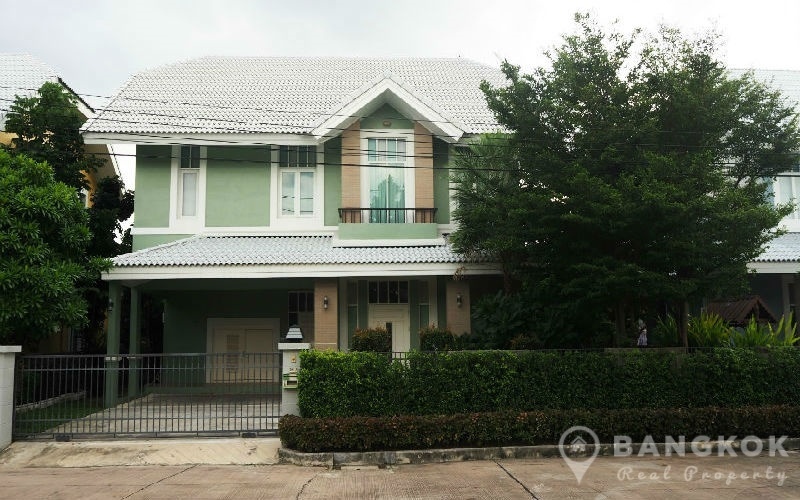 A modern, spacious, European style, detached 3 bedroom family home is available for sale at Milton Residence Ramintra conveniently located just on Ramintra Road near Minburi village and within walking distance of Setthabutbamphen MRT station (Pink Line) which opens in 2020. 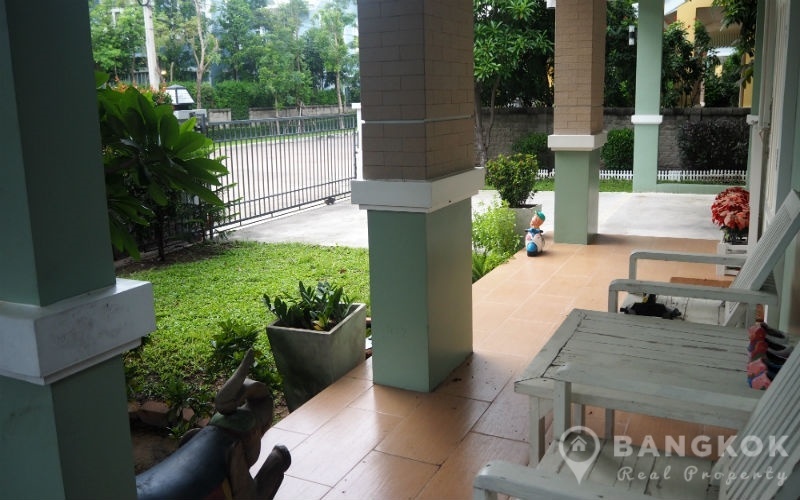 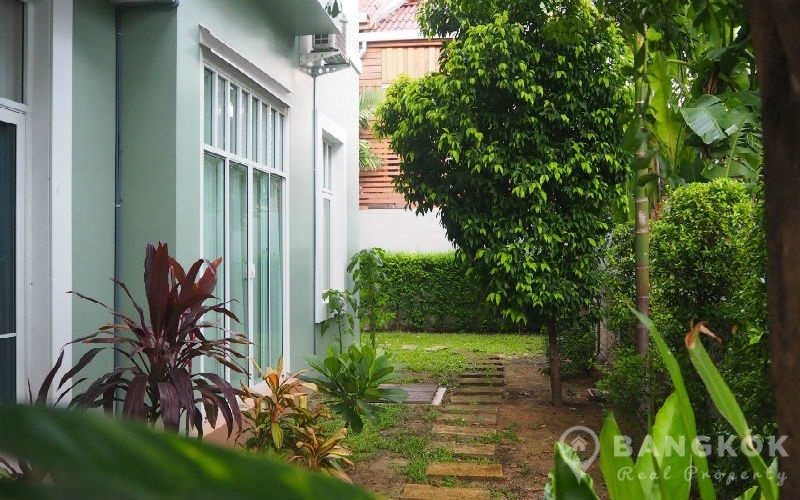 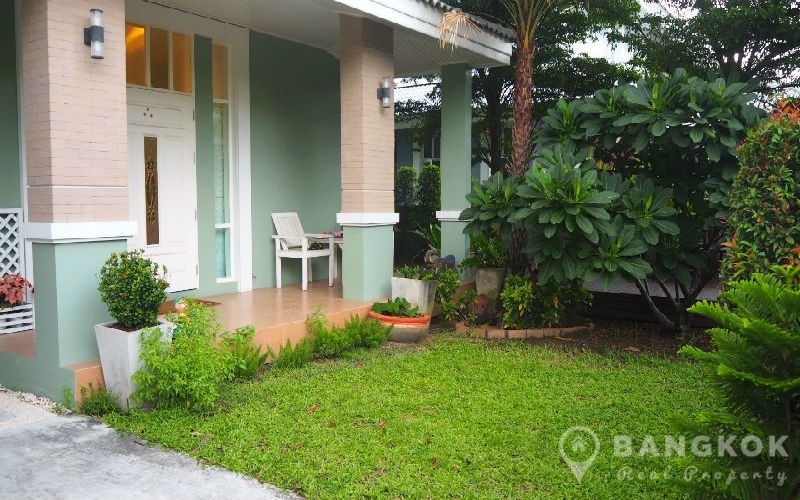 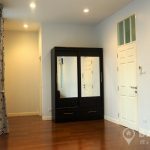 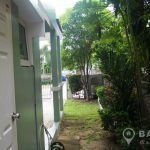 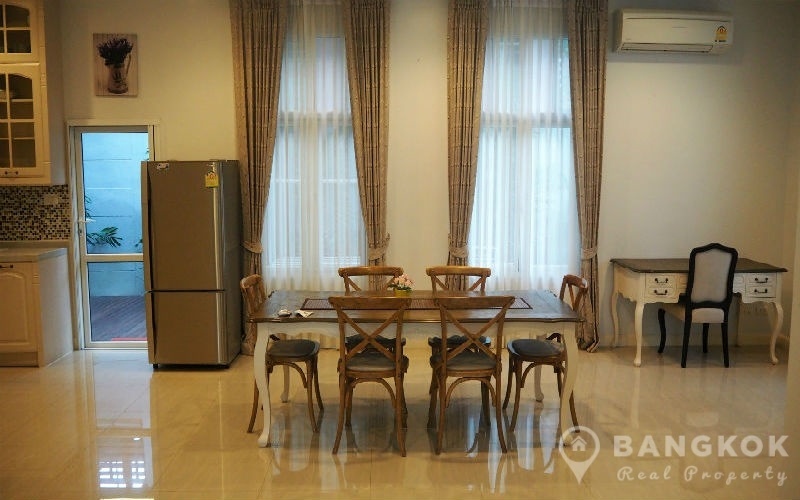 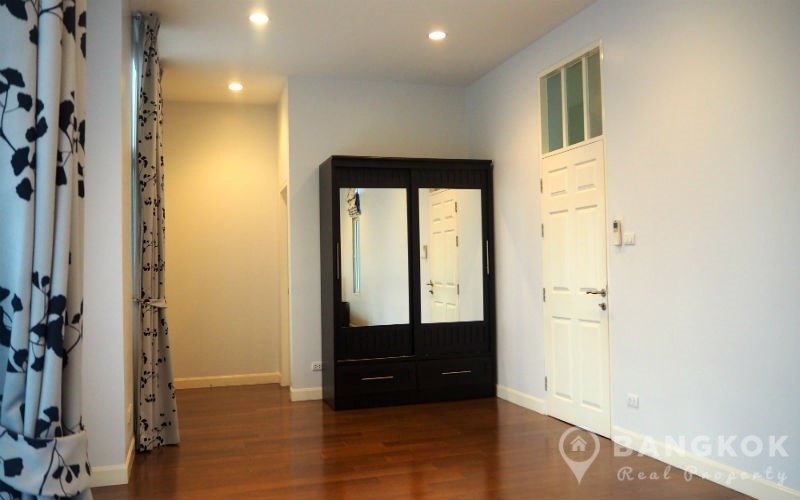 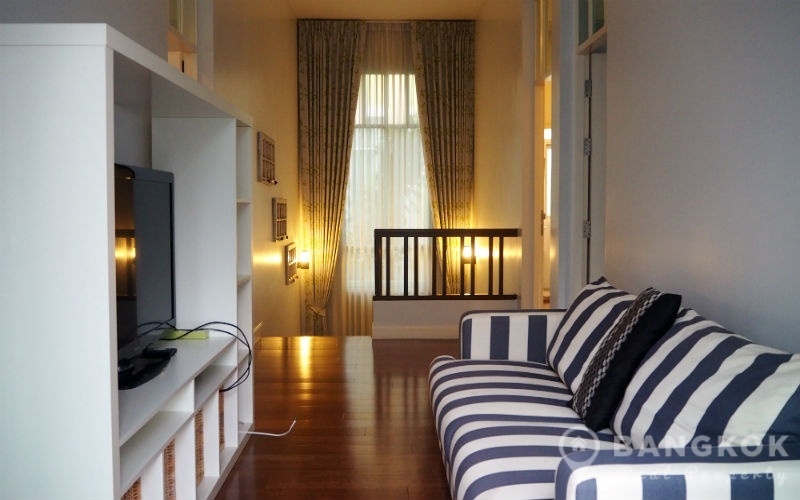 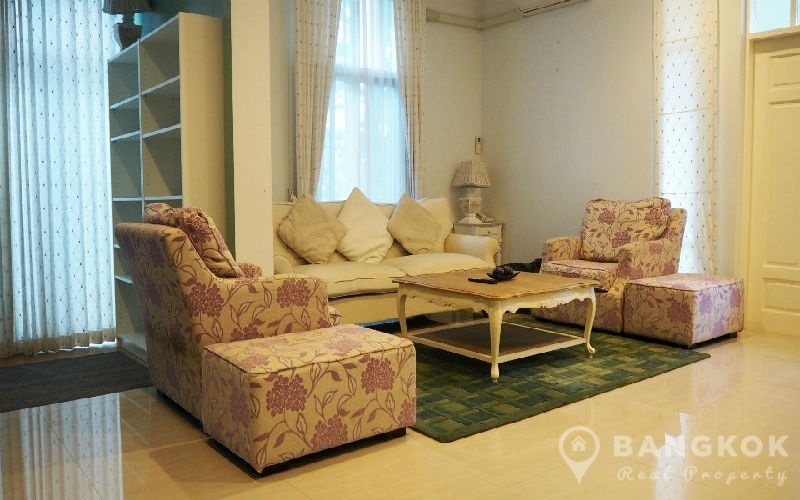 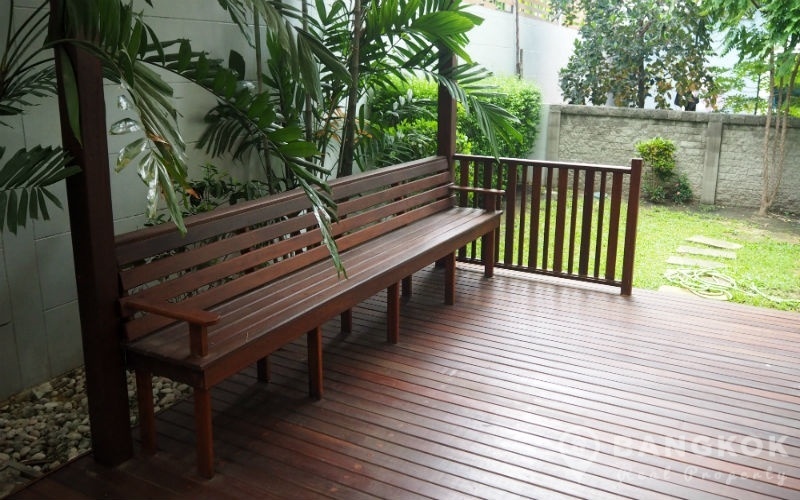 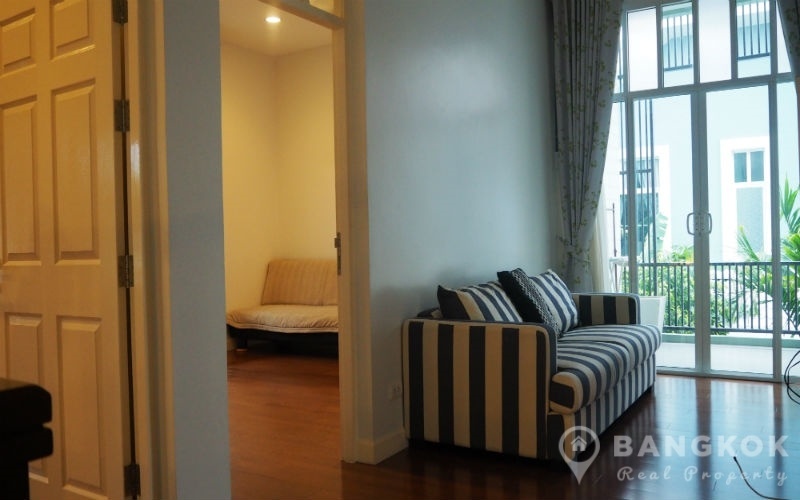 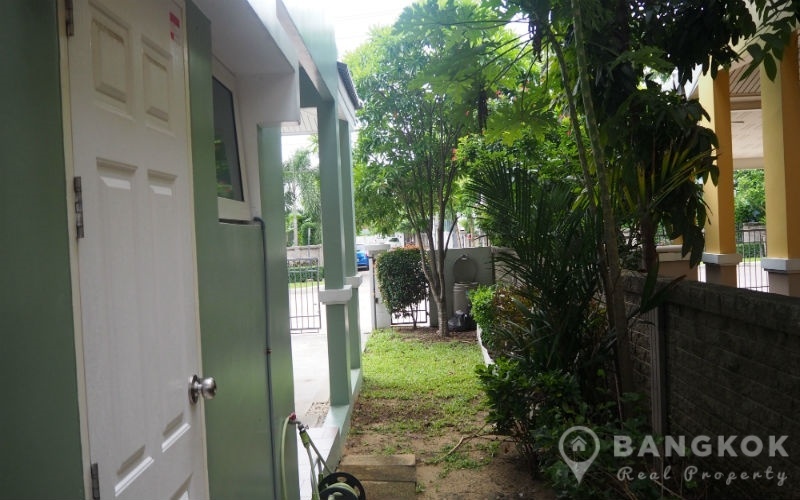 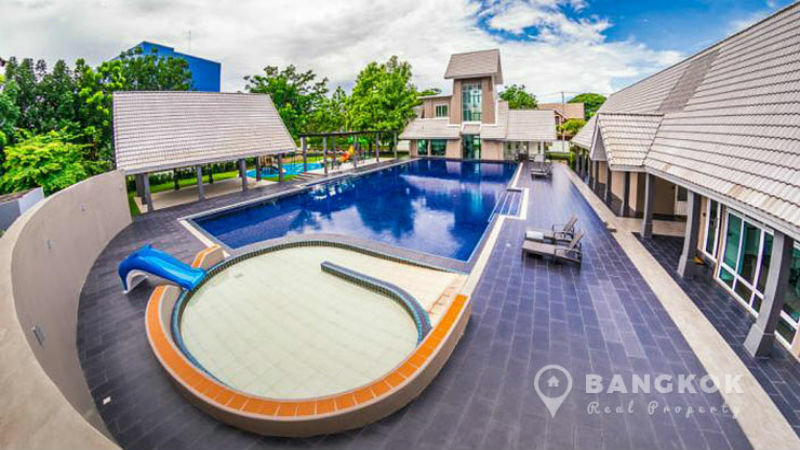 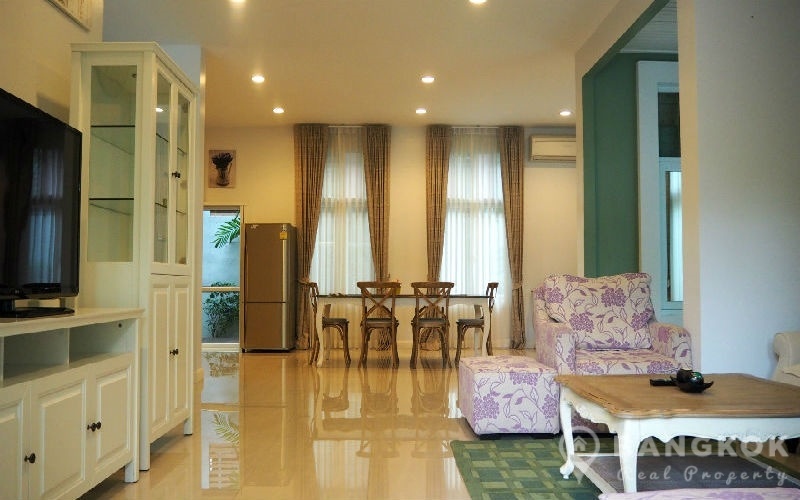 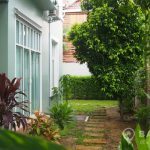 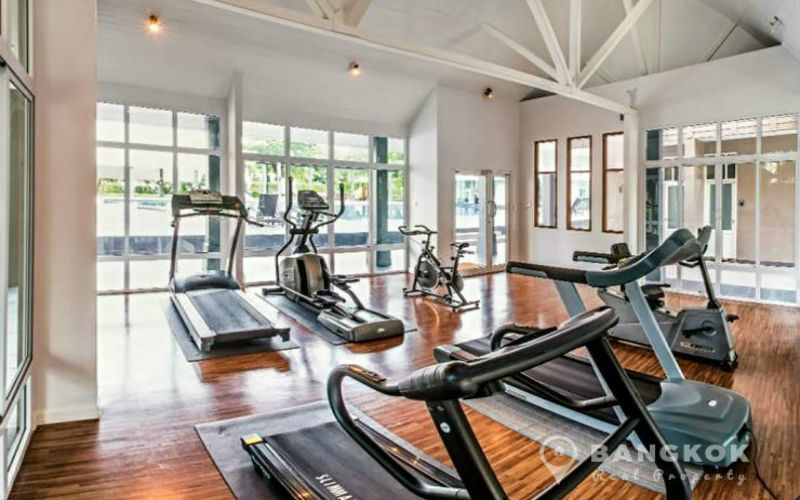 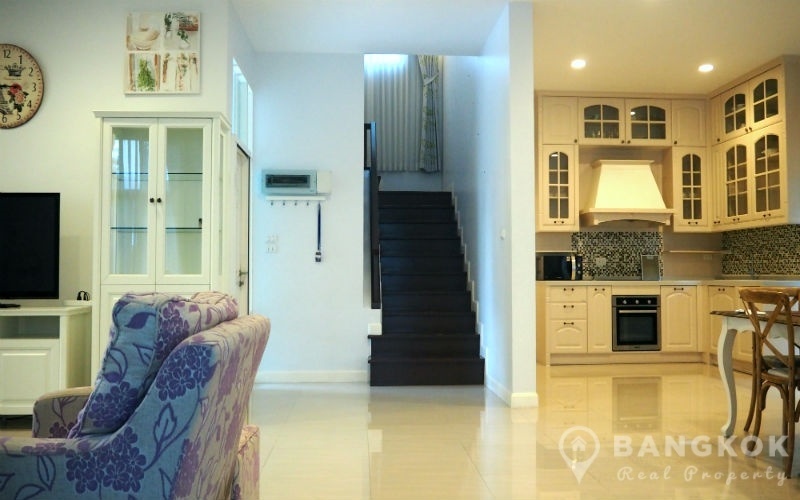 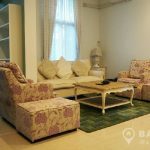 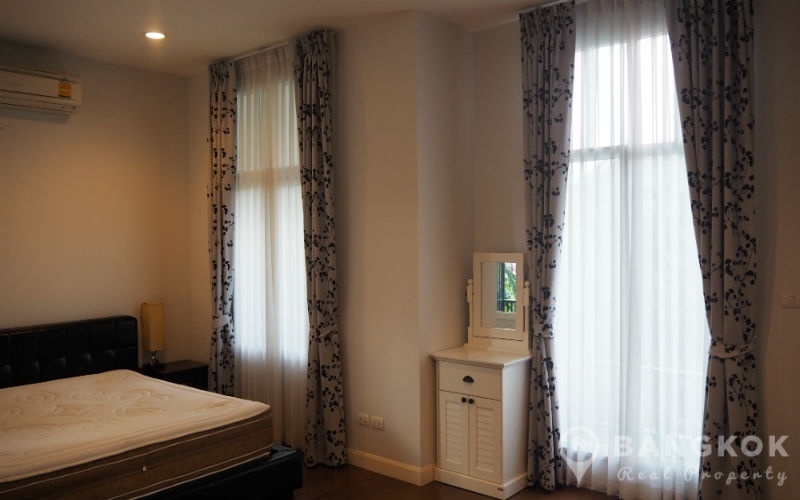 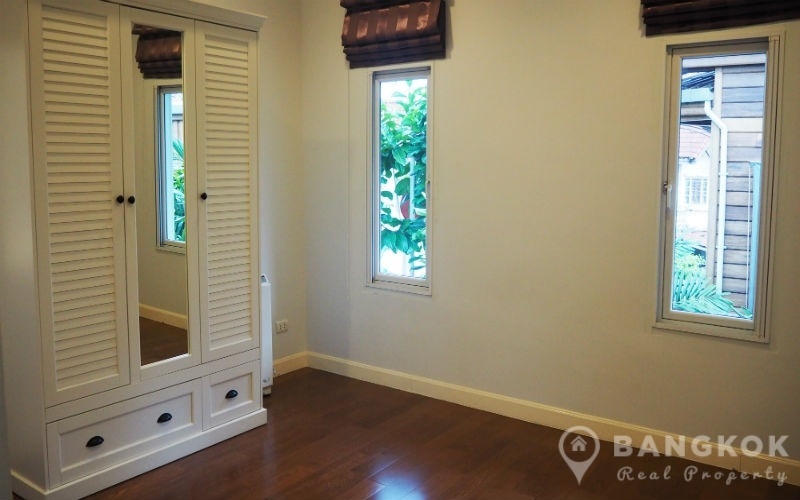 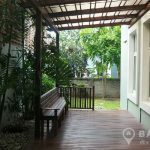 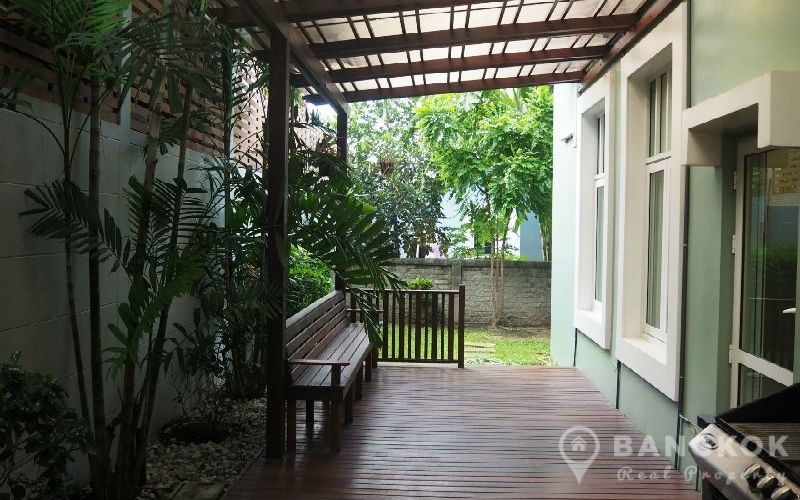 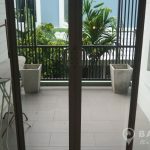 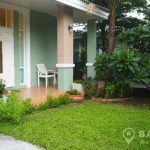 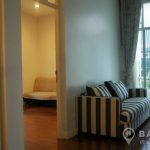 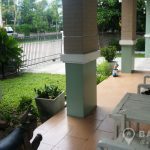 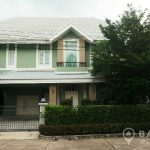 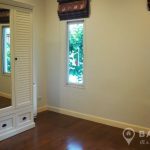 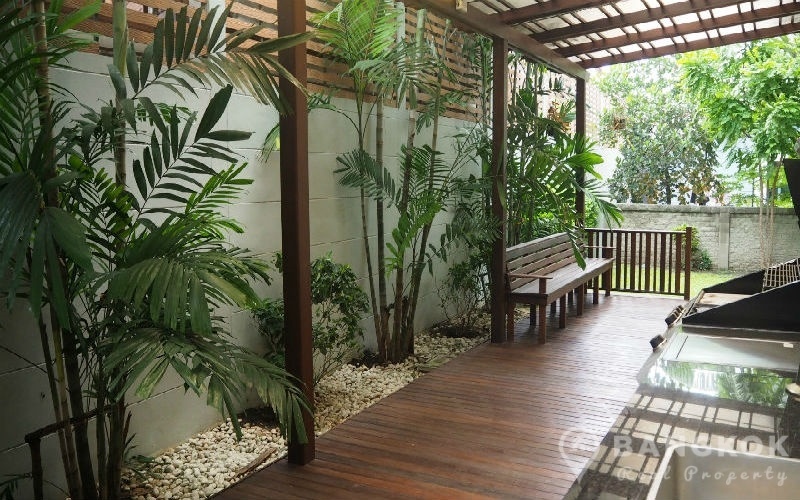 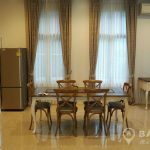 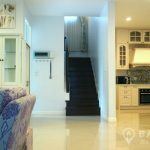 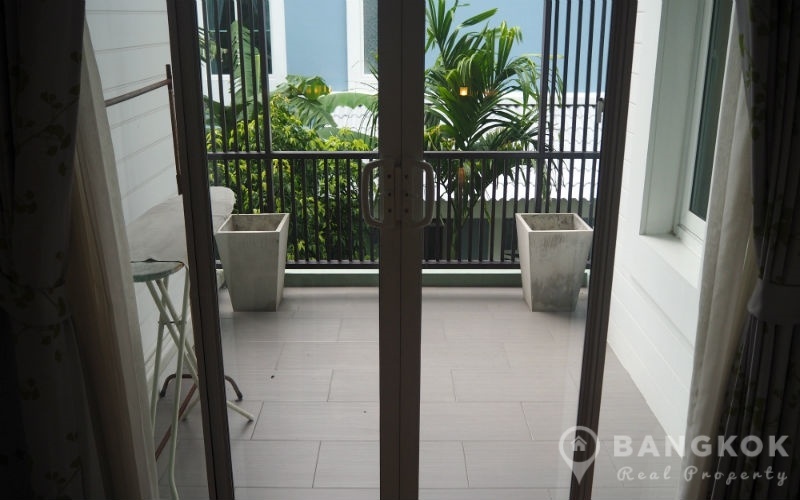 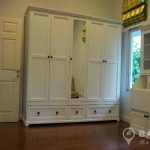 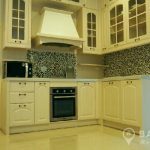 This stylish gated village built by Suanluang Home & Property in 2010 is set on a large plot of 77 Rai and offers residents easy access to many amenities including Fashion Island Mall, Central Ramintra, The Promenade and Bangkapi Mall. 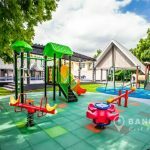 There are several tops schools nearby including Bromsgrove International School, the Swiss School, Ascot International School and Ruam Rudee (RIS). 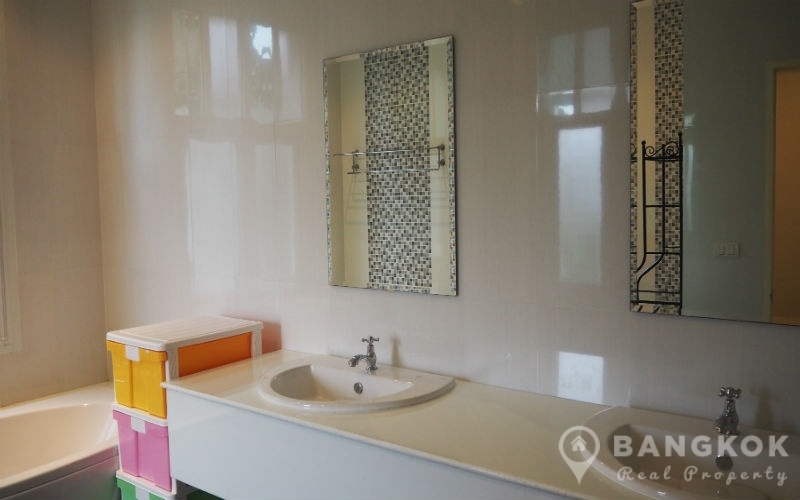 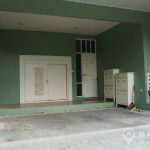 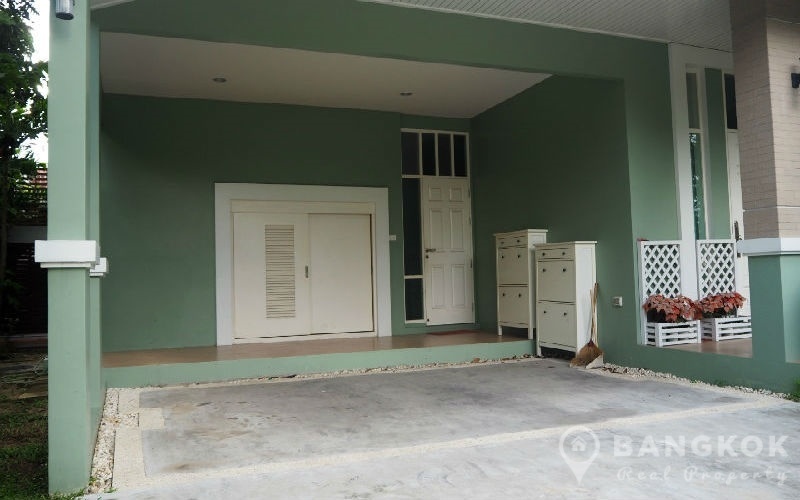 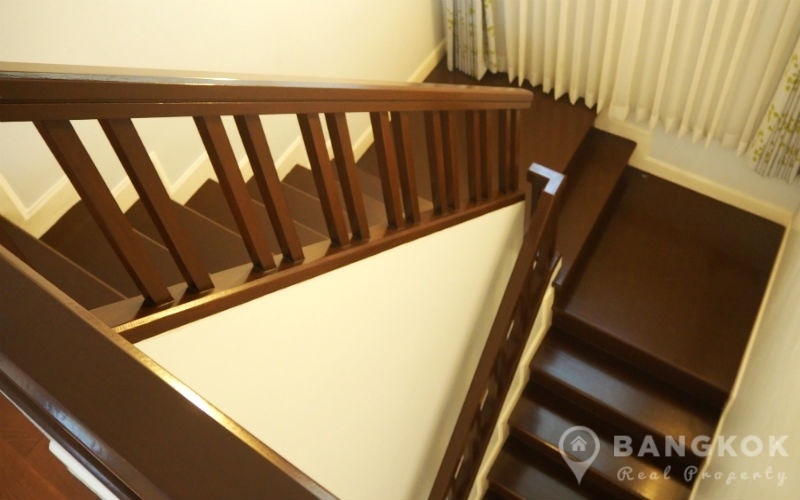 This spacious, detached house at Milton Residence Ramintra has 3 double bedrooms, 4 modern bathrooms, western style kitchen with 1 maids room and 253 sq.m of living space set on a plot of 100 sq.wah (400 sq.m) with mature gardens . 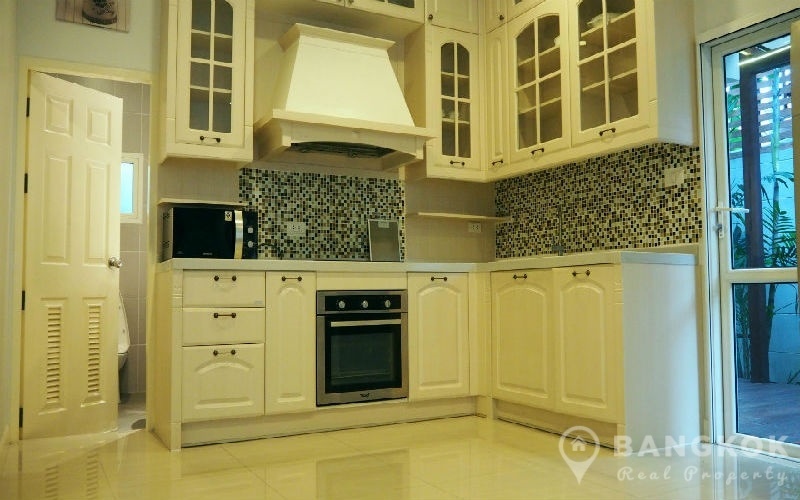 The open plan living – dining – kitchen is bright and airy with multiple large windows and has cooling marble floors. 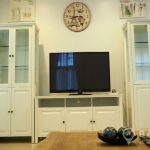 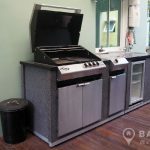 The Western kitchen has built in units and a built in electric stove (hob) and oven, microwave and refrigerator. 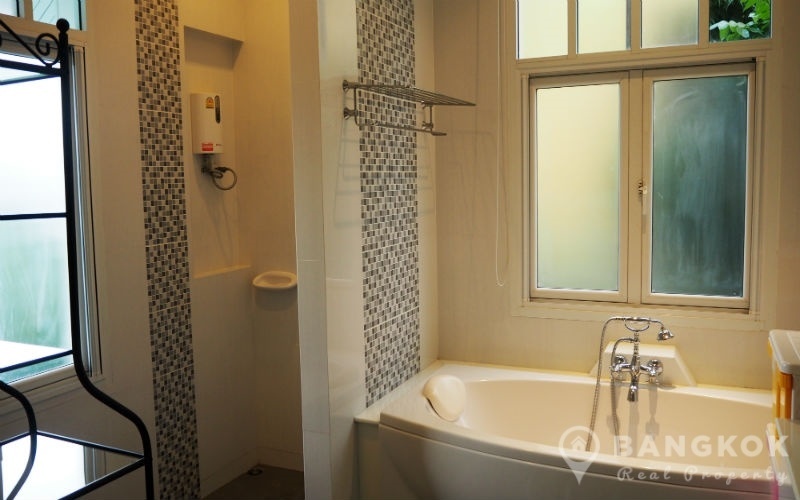 There is a guest shower room on this level. 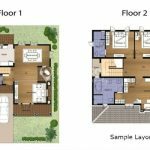 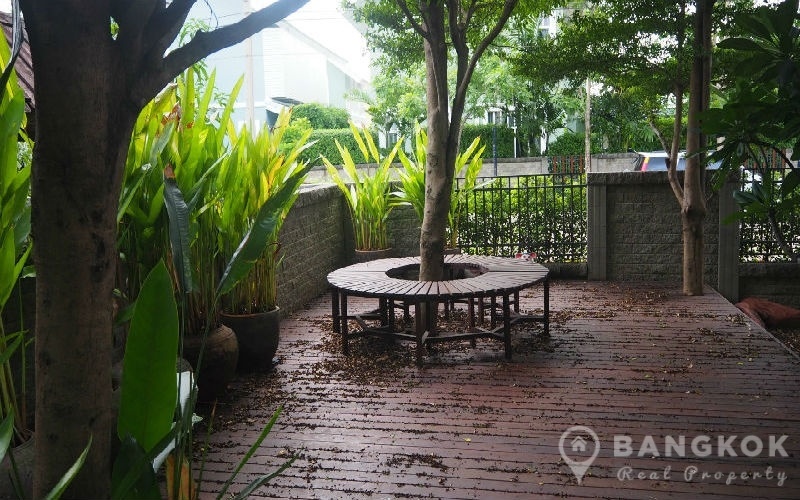 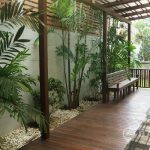 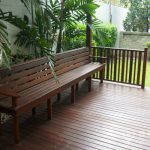 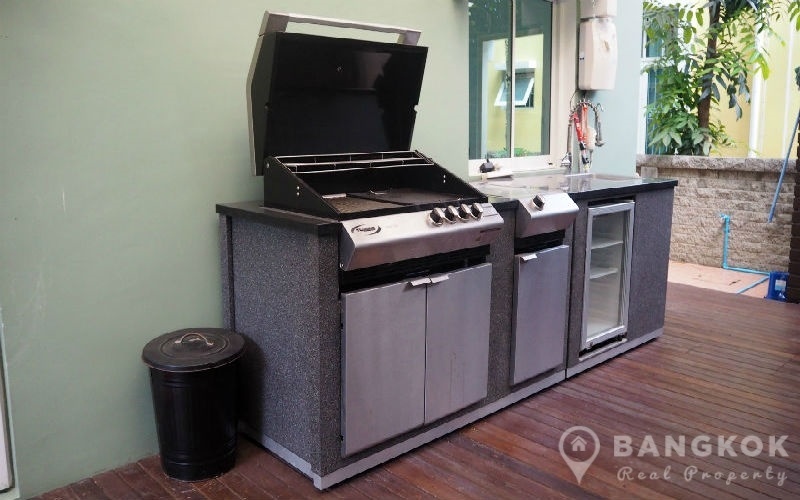 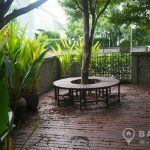 Outside there is also custom built Australian style BBQ kitchen with built in units, a large covered terrace and patio area into the garden. 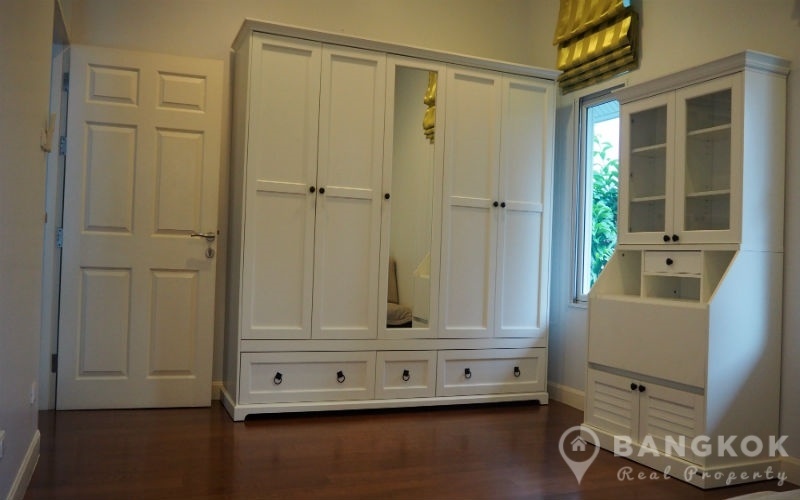 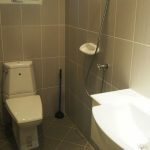 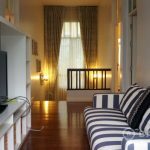 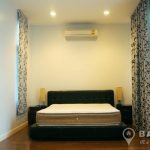 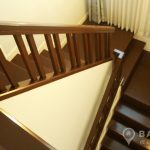 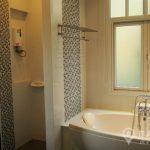 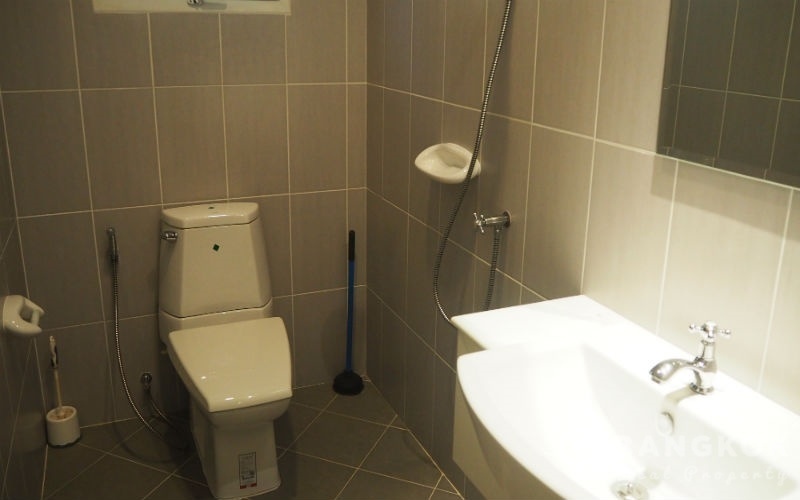 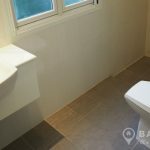 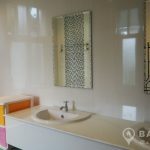 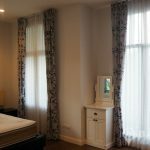 Upstairs, the master bedroom has good wardrobe storage and an ensuite bathroom with bathtub and shower, the 2nd and 3rd double bedrooms also have their own ensuite bathrooms. 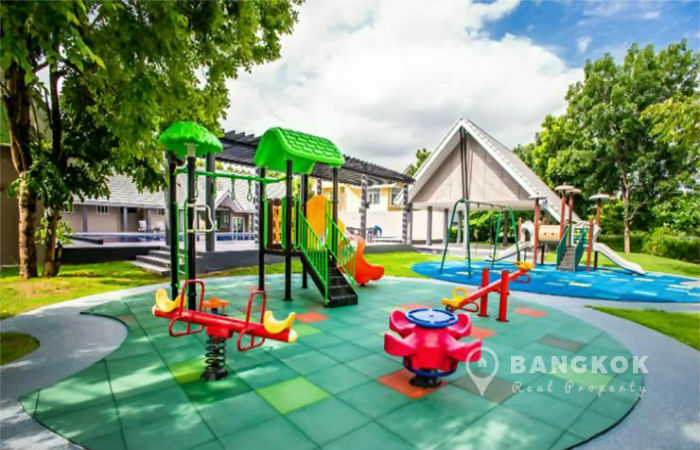 Milton Residence Ramintra is a gated village by Suanluang Home & Property, Phase 1 built in 2010 and Phase 2 with 121 houses under construction, due to complete in 2022. 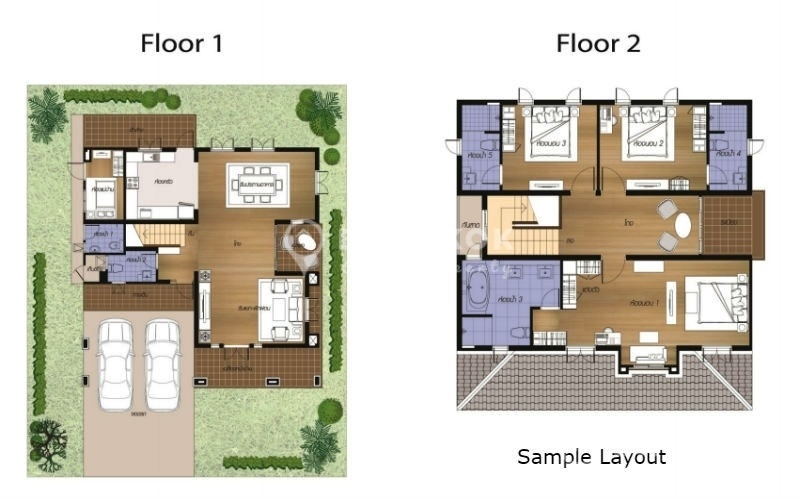 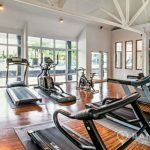 The village is set in 77 Rai and consists of 3, 4 and 5 bedroom detached houses set in landscaped grounds with a clubhouse, large swimming pool and gym & fitness centre.